14:00 h - 17:00 h.
"Home for Animals" is growing – and with the many new animals and their new living space, also the funds needed for projects, renovation and expansion. 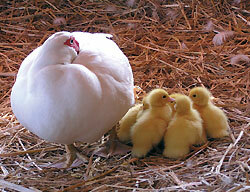 There are also monthly expenses to cover optimal feed supply as well as veterinary care. "Home for Animals" is financed solely by contributions from patrons, individual contributions and animal sponsors. The personnel costs are relatively low, because many friends actively work with us on a regular basis without payment.. Become a Patron Member of Home for Animals! Patron members are particularly important to Home for Animals. Through regular contributions we can secure a basic care for the animals and better plan our expenses. As a patron member of “Home for Animals,” you give a regular donation, the amount of which is determined by you; these payments can be made monthly, quarterly, semi-annually or annually. You can make a bank transfer or give us permission to deduct the amount from your account. You receive a small "Thank-you" in the new set of 16 postcards from Home for Animals. 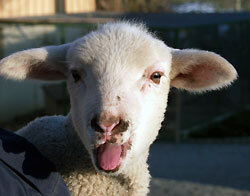 You receive the 30-minute video film "Home for Animals – a Farm Presents Itself." We would like to thank you with the book "You, the Human Being, You the Animal – Which Has Higher Values?" In addition, as a patron member you will receive a running report several times a year over everything that is taking place, what animals could be helped, which projects are in progress and the most important dates, such as Open House (Open Barn Door Day), seminars, etc. You assume sponsorship for a certain animal. A regular donation is then made for the healthy feed and veterinary care for “your” animal. We will keep you regularly informed about your charge and send you a report once a year an the animal you have assumed sponsorship for – assuming it is a large animal. 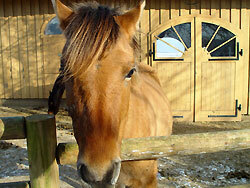 As an animal sponsor you will, of course, receive regular information about Home for Animals. It is possible to include Home for Animals in your will as an heir. We, or your notary can provide you with details concerning this.